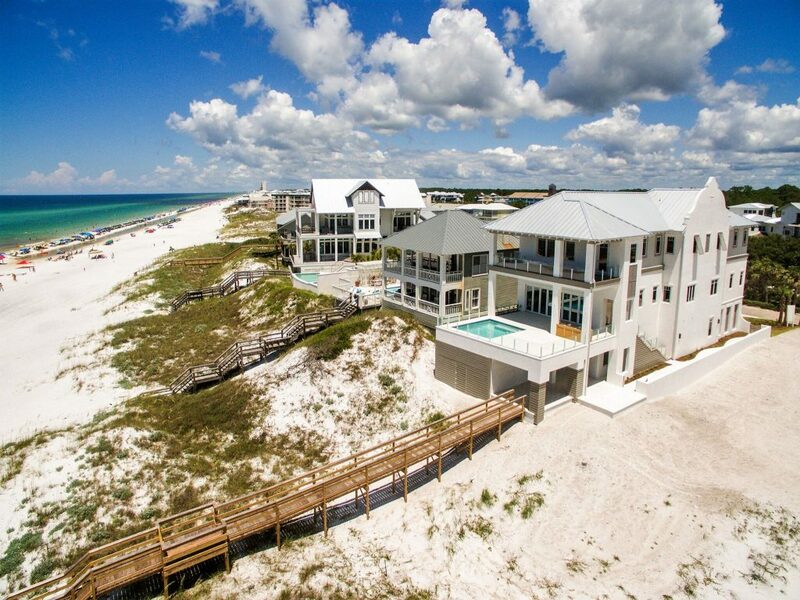 Live in the sunshine at 20 Deer Lake located in Inlet Beach, Florida. 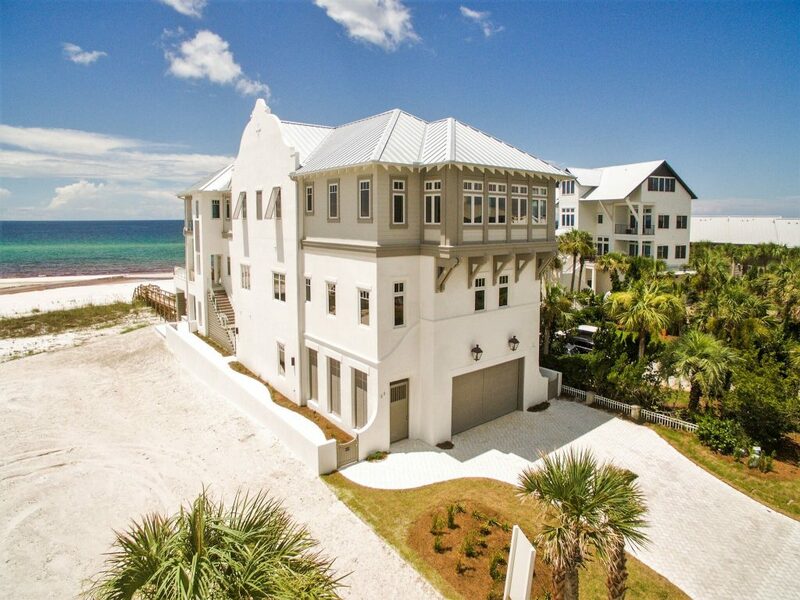 This custom built home by Chi-Mar Construction features the loveliest views of the Gulf in the most magnificent location. Step inside with us to experience this latest build. 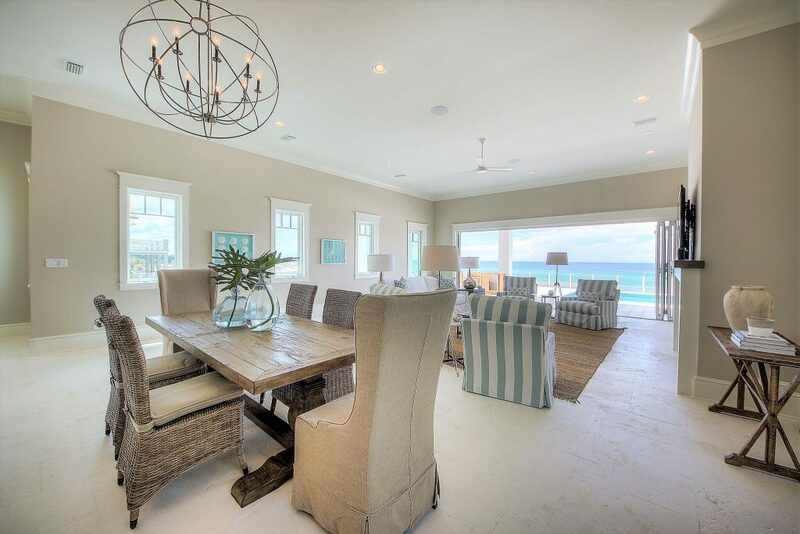 Just feet away from the sugar sand beaches lies this three story home. With a finished boardwalk guests are just steps away from the shimmering waters. Or if you don’t feel like spending a day on the sand you can enjoy a rather calm afternoon by your private pool. 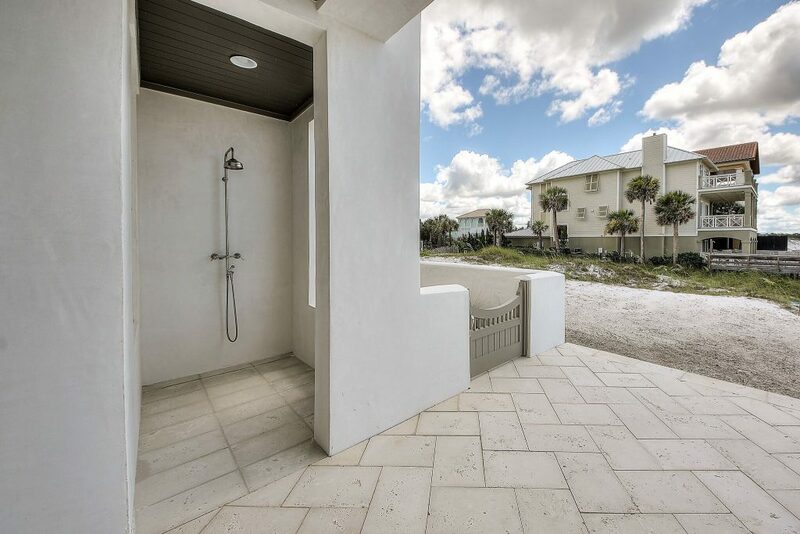 At the end of the day, you can take advantage of the outdoor amenities such as this shower to clean off! 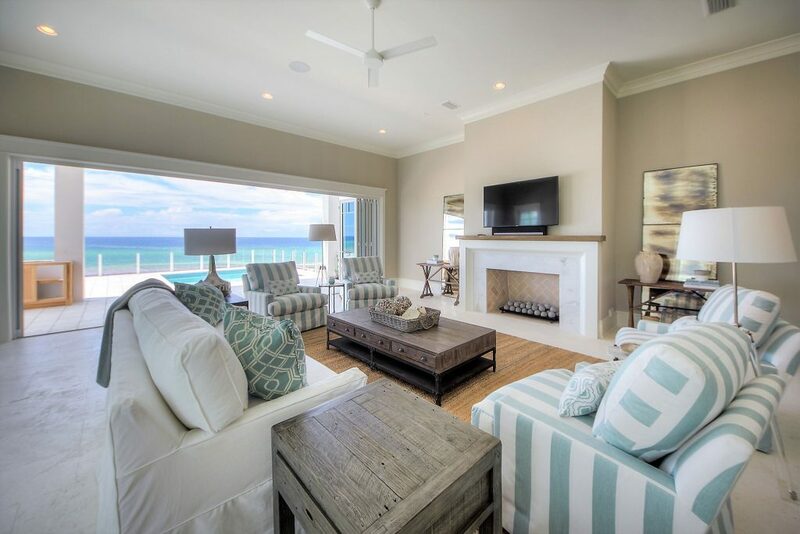 When you arrive in this Chi-Mar Construction home, you can continue to enjoy the Gulf and pool views right from your living room. The natural light keeps this space warm and airy. This spacious kitchen is any chef’s dream. 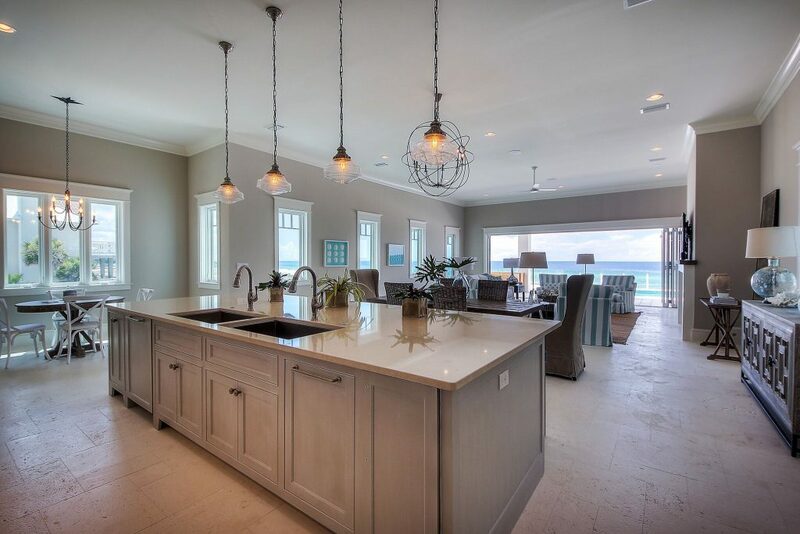 While you’re cooking something up for the whole family guests can lounge at the island and watch as you prep. With a combined kitchen-living space guests can seamlessly roam from one room to the next without skipping a beat in conversation. 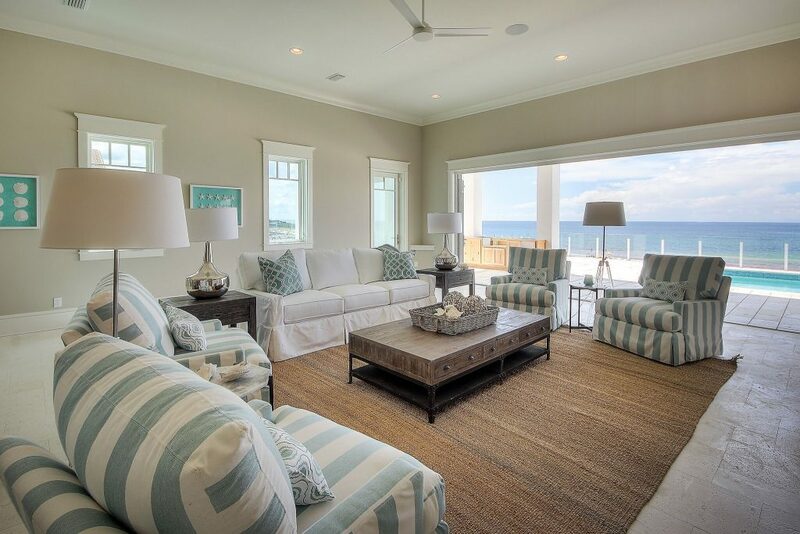 Now that you’re ready to move to the beach, allow Chi-Mar Construction to build your dream beach getaway! To schedule your appointment please call: 850-837-8016.